Joe Root & Co. have already lost the three-match series. 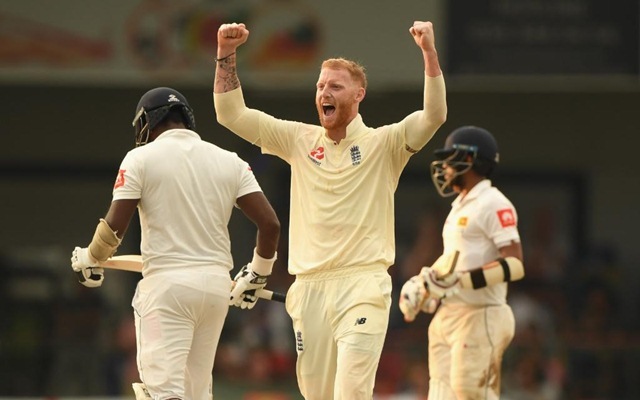 England have included Ben Stokes in their 12-man shortlist for the third and final Test against hosts Windies at St. Lucia starting Saturday (February 9). The allrounder had reportedly missed the practice session on Thursday due to a bruised heel but trained on Friday. However, he is yet not sure to play in the upcoming game. The visitors have dropped wicketkeeper-batsman Ben Foakes. He had injured his hand while batting in the first innings of the last Test and had not kept the wickets in either of the innings. He, however, was fit to play in the upcoming game but England left him out in a bid to better balance their final XI. In his absence, Jonny Bairstow will once again don the wicketkeeping gloves. Keaton Jennings, who was dropped from the playing eleven for the second Test after twin failures in the series-opener, is also in contention to play the final Test. In case, Stokes fails to recover in time, Jennings is likely to open with Rory Burns while Joe Denly will bat at number three. Fast-bowler Mark Wood could also get a game. The right-arm pacer is likely to replace Sam Curran, who has claimed only one wicket in the series thus far. The visitors, nonetheless, continue to bench allrounder Chris Woakes and spinner Jack Leach. Joe Root & Co. have already lost the three-match series and will be desperate to avoid a humiliating whitewash. The tourists lost the first Test in Barbados by 381 runs before conceding the series with a ten-wicket defeat in Antigua. Windies’ hopes of inflicting a famous whitewash on England, meanwhile, has taken a big blow after the ICC suspended their inspirational skipper Jason Holder for the third Test. The Windies skipper was suspended as a result of cumulative slow over-rate offences. In his absence, Kraigg Brathwaite will lead the hosts while Keemo Paul has been added to the squad as cover.